Between 1972, when the U.S. Census Bureau began tracking ownership by gender, and 2018, the number of women-owned businesses grew 31 times larger, from 402,000 to 12.3 million. Employment in women-owned companies grew 40 times larger, from 230,000 to 9.2 million in the same time period. Annual revenue grew from $8.1 billion to $1.8 trillion. In the past 11 years, the number of women-owned businesses with more than $1 million in annual sales grew by 46 percent, compared to 12 percent growth for all U.S. businesses. Those high-earning firms account for 69 percent of all revenue and 68 percent of total employment among all women-owned companies. Granular analysis of women-owned franchises tells a similar story about the rise of female entrepreneurship. Between 2011 and 2017, the number of female franchisors grew 83 percent, compared to 13 percent growth for male franchisors, according to FranNet. Those data mirror analysis by the International Franchise Association, which showed that women-operated franchises grew to 27 percent of all franchises, up from 20.5 percent in 2007. Another 17 percent of franchises are owned jointly by men and women, usually married couples. In the U.K., the British Franchise Association and NatWest noted in the 2018 Franchise Landscape report (see PDF here) that 37 percent of new franchise owners in 2017 were women, a 20 percent increase in just two years. Among new franchise owners under 30, 52 percent are female. What Attracts Women to Franchising? The data point to the evolution of business ownership. In the past few decades, many women balance careers with child-rearing and household management, though that stereotype appears to be evolving. Still, franchising can be a family-friendly business model. There can be more flexibility and control that allows female franchise owners to achieve the balance they crave. One of the most significant challenges still facing women entrepreneurs is a decided gap in access to capital. In 2017, the Federal Reserve banks of New York and Kansas City released its Small Business Credit Survey, focusing on women-owned companies. Despite the considerable gains in business ownership, significant barriers remain in getting the much-needed financing to start or grow a business. Start Small. Stay Small. Women-owned businesses have fewer employees and lower revenue than male-owned companies at each stage of company development. Less Success. Women apply for business loans at the same rate as men but are less likely to be approved for a loan (47 percent versus 61 for men). Fewer women (48 percent) receive the full amount of their sought-after funding than men (57 percent). Industry Choices. Women tend to start companies in less capital-intense sectors like education, health care, professional services, and real estate. Profitability Differences. A larger percentage of women business owners report operating at a loss (31 percent) compared to male counterparts. Credit Risk. A larger share of women-owned companies are tagged as medium or high credit risk (41 percent) than those owned by men. Among early-stage companies, the difference is larger – 53 percent versus 40 percent. Recent Financial Trouble. Women are more likely (64 percent) than men (58 percent) to report having financial difficulties in the previous 12 months. Smaller Asks. Two-thirds of women owners report seeking $100,000 or less, compared to 49 percent of men owners. There are some bright signs, however. Slightly more women owners reported an increase in revenue in the past 12 months (52 percent versus 50 percent) and an increase in employees (38 percent versus 34 percent). Women also have a more optimistic outlook on expected growth. Seventy percent expect an increase in revenues and 44 percent expect to hire more employees. Only 58 percent and 39 percent, respectively, of men expect similar growth. Another stereotype that needs to be dispelled is that women are risk-averse and therefore less inclined to pursue franchise ownership. Countless studies frame risk as a masculine trait. Where to Launch a Franchise? There is much at stake for lenders, franchisors, and organizations when it comes to women and franchise ownership. More women are continuing to become franchise owners, but the barriers persist – access to capital, the perception of risk aversion, and knowledge about the available opportunities. Change the Franchisor Approach. Brands need to recognize that women owners are going to act a little differently. Companies need to be ready to respond to the advantages female entrepreneurs bring. In a recent Entrepreneur.com article, Gigi Schweikert, president and CEO of Lightbridge Academy, said women are more likely to be collaborative and to share ideas. They are not afraid to pick up the phone and ask for answers to problems that may not have been previously known at the corporate level. Build Networks. 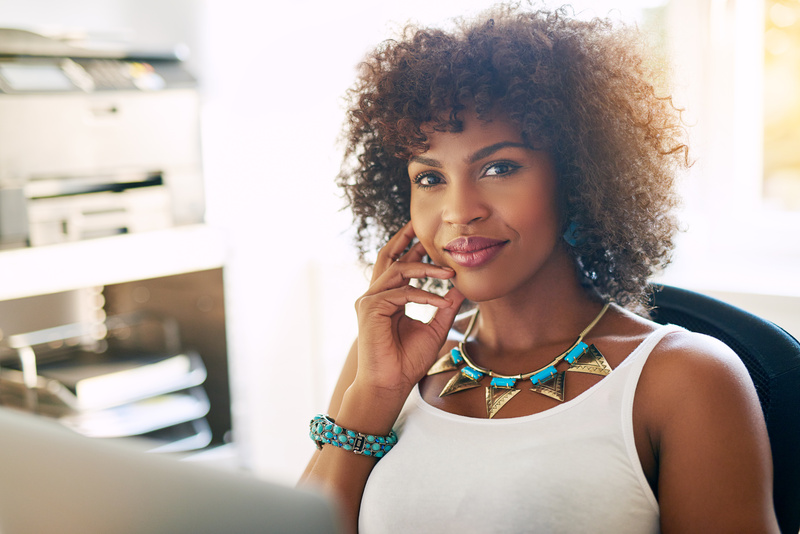 More is needed to provide resources, connections, and support for women franchise owners. The International Franchise Association, for example, has developed the Women’s Franchise Network in 19 metro areas across North America. The network helps women owners share ideas, raise issues, and support female entrepreneurs. Improve Access to Capital. Lenders need to provide more programs that support women entrepreneurs, especially in the early stages of a franchise, when the risks are higher and everything feels new. Raise Awareness. A study published in 2018 in the Journal of Strategic Marketing sought to understand why women are underrepresented in franchise ownership. Among its findings was that female franchisees knew about the core benefits to franchise ownership. However, they were unaware of the support provided by franchisors and government agencies, including franchisor-provided investment and working capital. Given the challenges women face in securing funding, other options need to be explored. Benetrends has provided entrepreneurs with a different choice for decades. With our Rollover as Business Start-Ups (ROBs) strategy, franchise owners can use their existing 401(k) or IRA accounts to finance launch or expansion. ROBs funding comes with no early withdrawal penalties. In a matter of weeks, you can have the capital you need, without the stressful approval processes, interest rates, and limits faced with traditional lending programs. Benetrends also offers business services to support growing companies, including retirement plan servicing, credit card processing, payroll management, and business insurance. To learn more about our services, watch the webinar: How To Use Your Retirement Funds To Buy A Franchise Or Business.